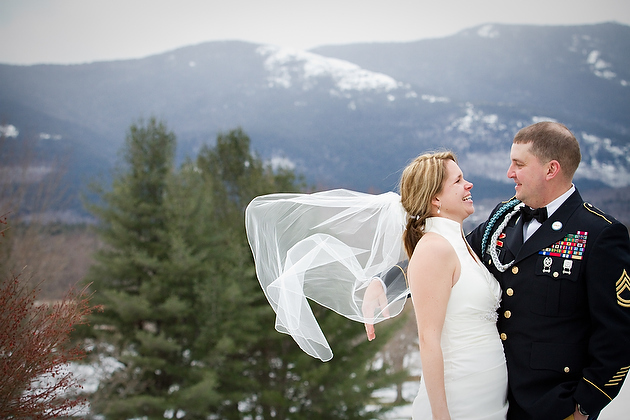 Considering a winter wedding in the White Mountains? 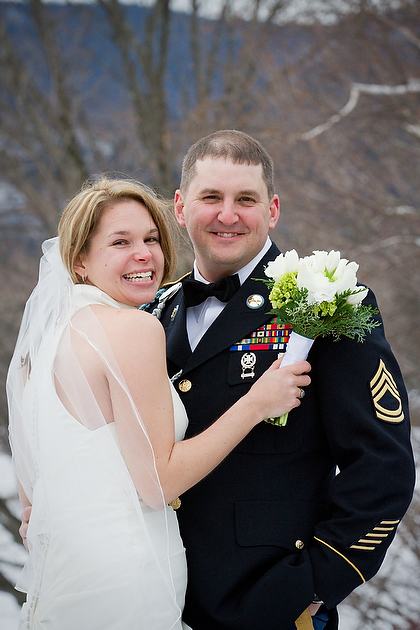 Elopements in North Conway put you in the heart of the valleys best shopping, dining, and provide loads of lodging options. You are also really close to some stunning scenic spots for photos. 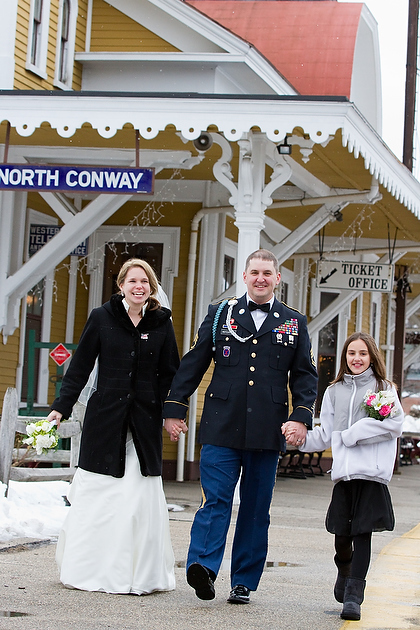 The Conway Scenic RR and nearby views at the North Conway Country Club provide an excellent backdrop. 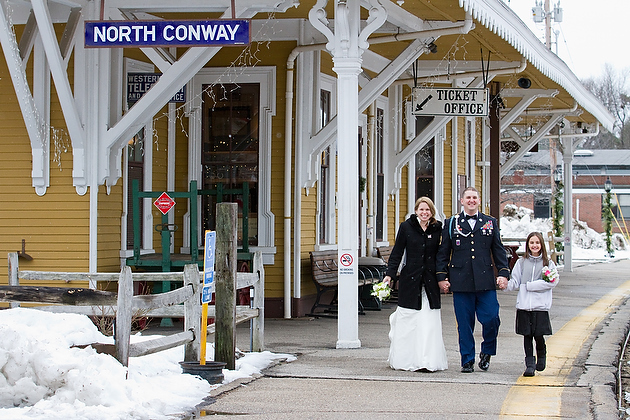 Of course, some couples may prefer to take a scenic train ride while they are here. The RR does run during some weekends in the winter, and when this couple went into the ticket office they did get a round of applause from waiting passengers. How will you spend your time in the White Mountains? 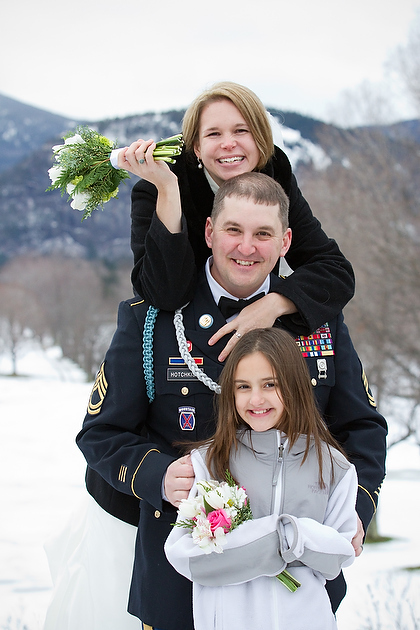 Check the local Mount Washington Valley Chamber of Commerce website for additional ideas. If you want my take on winter activities, read more here.